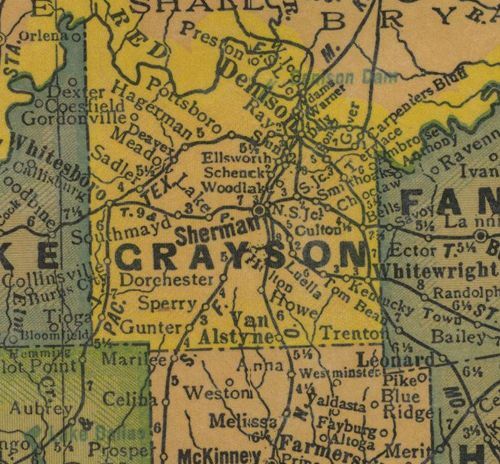 Grayson County Texas history, cities & towns, county seat, courthouse, vintage maps. In the mainstream of Texas history for more than a century, this area was, in 1837, the site of Colonel Holland Coffee's Trading Post, a landmark structure at the Preston Bend crossing of the Red River. It was a focal point, beginning in 1842, for settlers of the important Peters' colony. 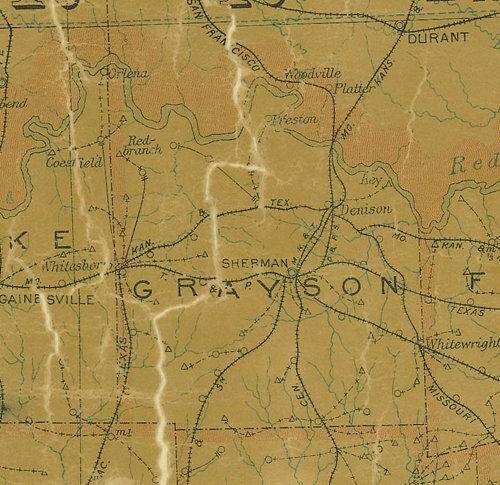 In 1846 the county was created from part of Fannin County by the 1st State Legislature. It was named for Peter W. Grayson, who immigrated to Texas in 1830, served in the Texas revolution, and was attorney general in the Republic. Also in 1846 the county was organized and Sherman was made county seat. The original townsite was 5-1/4 mi. W of here. It was moved to its present location, 1848. Honoree of the town name was Colonel Sidney Sherman, a hero of the Battle of San Jacinto. 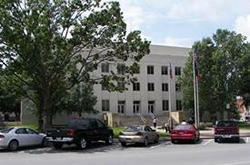 The place is distinguished for having had at least five courthouses and for its superior schools of the 19th century. It was once known as the "Athens of Texas." In 1858 the famous Butterfield Trail crossed the county and in the same period and later, a number of cattle trails and early railroads traversed the area. Today Lake Texoma, created 1939-1944, is a county approved tourist attraction. 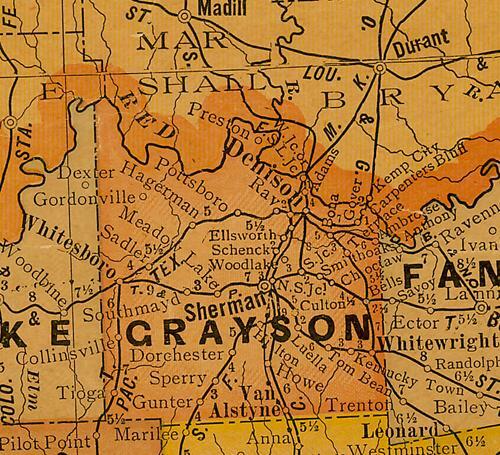 The Sherman-Denison region was named a Standard Metropolitan Statistical Area, 1967. Incise on back: Erected by Grayson County Historical Survey Committee.